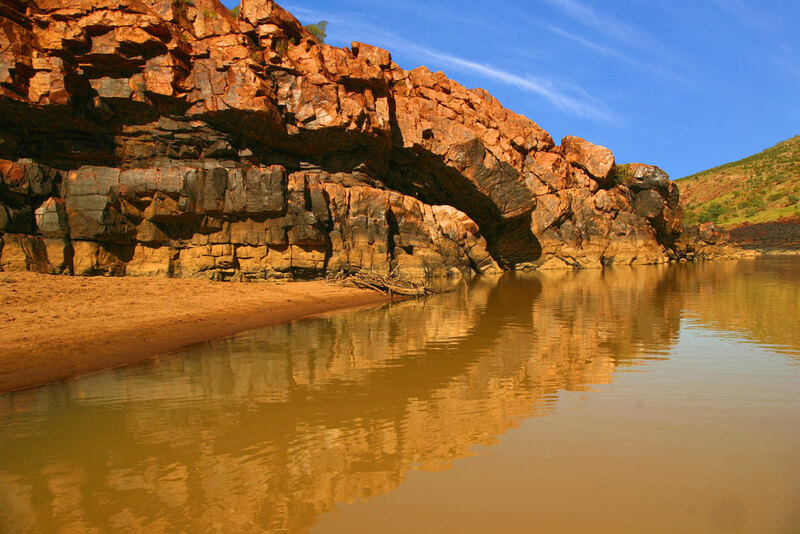 The Gibb River Road is a former cattle route that stretches almost 660 kilometres through the heart of the Kimberley and winds its way through a breathtaking landscape, filled with beautiful gorges, crystal clear rock pools, magnificent rivers, spectacular ranges, and age old rock formations. There is a rich Aboriginal history with the infamous Jandamarra (also known as Pigeon), a young Aboriginal freedom fighter, who fought his battle in Windjana Gorge. Read more. There are also remarkable stories of explorers, courageous cattle barons and early settlers, and of course the true, genuine characters of the Australian outback. 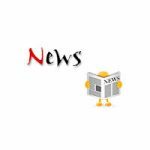 The Gibb River Road is closed during most of the wet season .. click here to get latest update from the Main Roads website. Oongkalkada Wilderness Camp is located on Udialla Springs property 50Km off the Great Northern Highway between the town sites of Broome and Derby, resting amongst a remarkable Kimberley wilderness setting, with the mighty Fitzroy River at your doorstep, fresh mineral springs surrounding your camp base and an amazing array of fauna and flora as your backdrop. The camp is run in conjunction with Uptuyu Tours who offer an insight into Aboriginal Kimberley with careful attention to the finer details which will ensure you are comfortable, safe and treated to a truly unique and authentic journey. 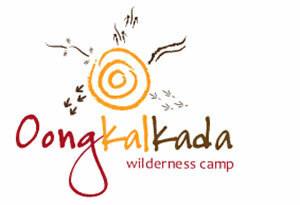 Visit Oongkalkada website and Uptuyu Aboriginal Adventure Tours website, for more information. Before you take off for the Gibb River Road just 7 kilometers outside Derby is the Boab Prison tree .. definitely worth a look. The massive ancient Boab Prison Tree is believed to be around 1,500 years old and is an incredible 14 metres in circumference. 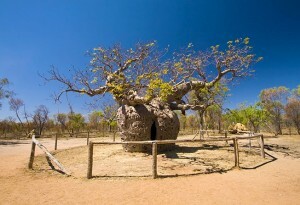 With its hollow centre and door cut into its side, the Boab Prison Tree was once used by early police patrols as a staging point for prisoners being walked into Derby. The gorges with their beautiful timelessness and crystal clear rock pools are the main reasons travelers abide over 600 kilometers of dust, sharp rocks and corrugations of phenomenal proportions. Most, if not all of these places are inaccessible during the wet season, December – February. Starting from the turn off from the Great Northern Highway just outside Derby I will list the attractions going North .. don’t be fooled by the first 80 kms of sealed road! 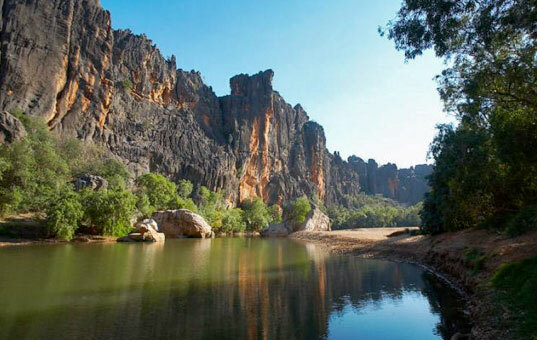 Windjana Gorge is approx 120 kms along the Gibb River Road and is an easy 10 minute walk into the Gorge. Three and a half kilometers long, the Lennard River flows through majestic cliffs and like most gorges, a feeling of great ancientness is felt. There are shaded white sandy beaches but unfortunately these are occupied by freshwater crocodiles which are relatively harmless, unless you are bitten by one! But for the most part they completely ignore you unless threatened. I have seen some tourists poking them with sticks. 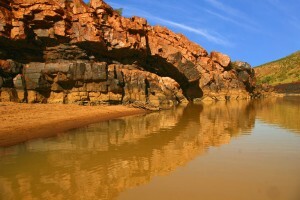 Windjana Gorge is a national park and un-powered camping is available. 36kms south east of Windjana Gorge, a water worn tunnel lies beneath the limestone of the Napier Range. 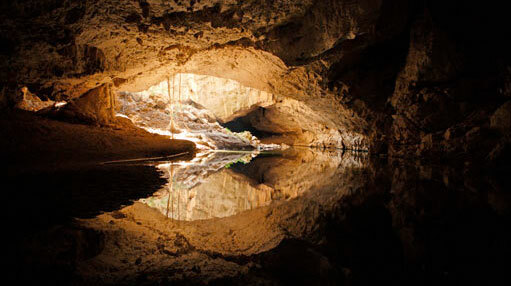 Part of the 350 million year old Devonian Reef system, you can walk 750 metres through the tunnel to the other side of Napier Range, wading through several permanent fresh water pools and watching for bats and the beautiful stalactites and stalagmites. Take a torch, wear old sneakers and be prepared to get wet. 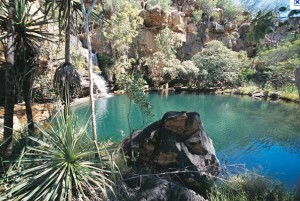 Lennard Gorge is one of the least visited Gorges. 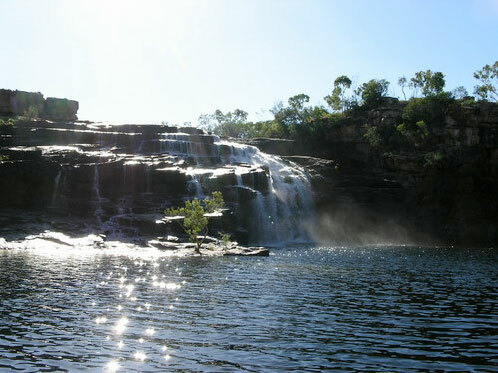 Situated along an 8km access road, 4WD only, a challenging walk no marked path, but if you head towards the right you will eventually get to a ledge overlooking the gorge and the falls (very dramatic views). A British backpacker fell to his death in 2009 whilst taking photographs, so be careful. If you stick more to the left you can get to the top of the falls where it is possible to access the water for a swim. There are no camping grounds here as it is part of the King Leopold Range Conservation Park but Mt Hart Wilderness Lodge has accommodation and camping, 50 km off the main road. Mt Hart is located in the heart of the King Leopold Range Conservation Park, 50km along a 4WD road, off the Gibb River Road. 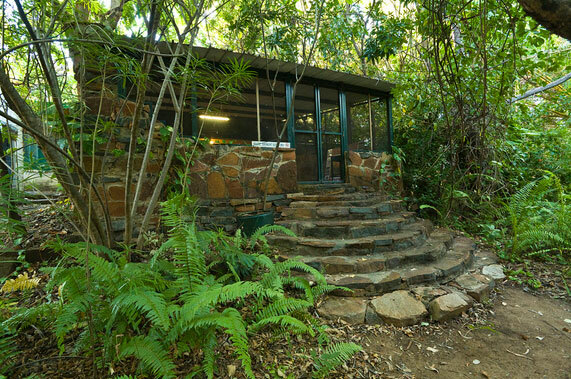 Mt Hart Wilderness Lodge is a ten acre oasis of tropical gardens situated alongside the majestic Barker River. Mt Hart Wilderness Lodge offers comfortable, and stylish outback accommodation in two traditional ‘Kimberley-style’ heritage homesteads, as well as camping facilities. Bell Gorge is located 30 kilometres off the Gibb River Road some 245 kilometres north-east of Derby within the rugged King Leopold Range National Park. Wet season rains see great volumes of water cascading down a series of waterfalls and Bells Gorge is one of the only accessible waterfalls which continues to flow all year round. 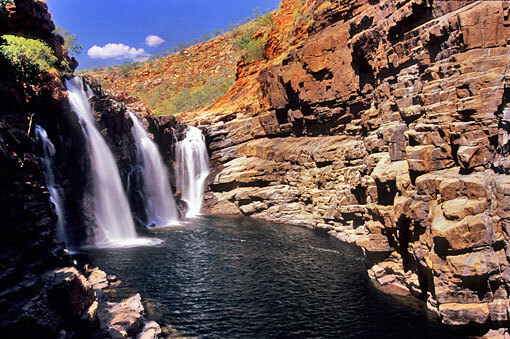 One of the most picturesque gorges of the West Kimberley where swimming, photography, bushwalking and bird watching can be enjoyed. Two campsites managed by the Department of Conservation and Land Management are nearby. Access to Bell Gorge Falls are reached via a one kilometre path from the carpark. Rugged and remote Dimond Gorge is one of the most spectacular gorges along the Gibb River Road. 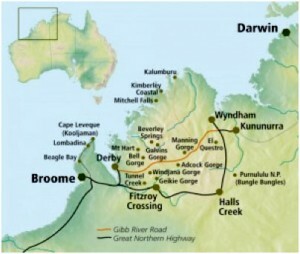 The 40 kilometre gorge was carved out by the mighty Fitzroy River which cuts through the King Leopold Range. Tucked away at the end of Dimond Gorge is a beautiful waterfall. The road into Dimond Gorge is also very spectacular with great photo opportunities of some very ancient boabs and spectacular ranges and escarpments. 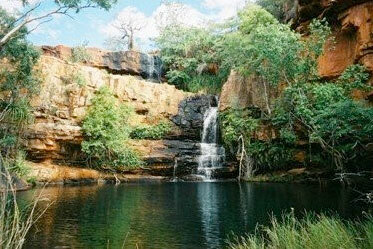 Sir John Gorge is a massive gorge set within the majestic King Leopold Range. You can make your way up to the 4 pools, 3 of which you can paddle along in a canoe. You have to be lucky though as there is only one canoe and being the only one makes for a pretty special experience. Paddles and a lunch hamper are available at the reception. You may even be extra lucky and spot the short eared rock wallabies that live in the cliffs along the second pool. Sipping champagne at sunset amidst the changing colours of Sir John Gorge is an unforgettable experience. Mornington Wilderness Camp is about 100 kilometres off the Gibb River Road and its a 40 minute drive to Dimond Gorge. 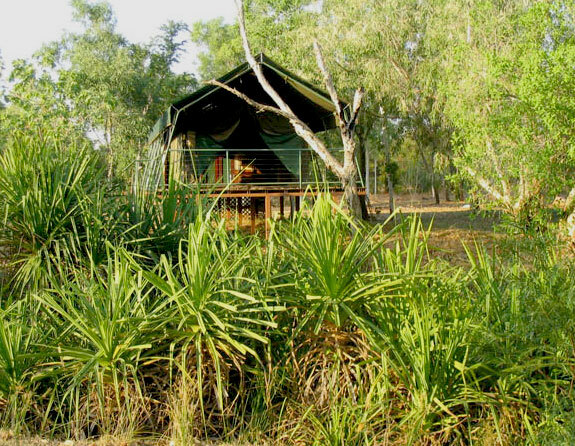 Owned and managed by the non-profit Australian Wildlife Conservancy, Mornington Wilderness Camp provides a comfortable base from which to explore this remarkable sanctuary. It is a naturalist’s paradise, providing refuge for over 200 species of birds and a diverse range of other wildlife. 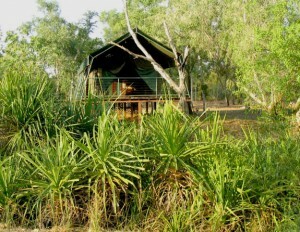 All proceeds from the Wilderness Camp are dedicated to the conservation of wildlife in the Kimberley. Open to visitors between April and November. 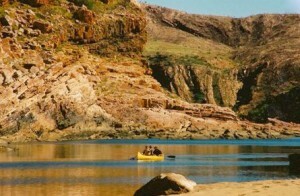 Popular activities include canoeing down Dimond Gorge and swimming and exploring Sir John Gorge. 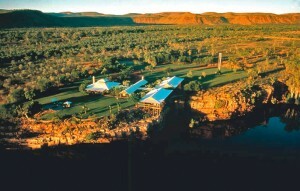 Before dinner, enjoy a glass of champagne as you watch the sun set over the stunning Central Kimberley ranges. Adcock Gorge is about 5 km off the Gibb River Road, along a very rocky 4WD track. The walk is very short and takes you along and across a shady lily pond. The three walls of this gorge exceed thirty metres in some places. 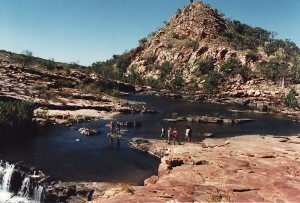 A small waterfall cascades down over rock benches into a small pool beside what is believed to be an Aboriginal burial ground. Unfortunately camping is not permitted as it is cattle station land and there are no amenities.. 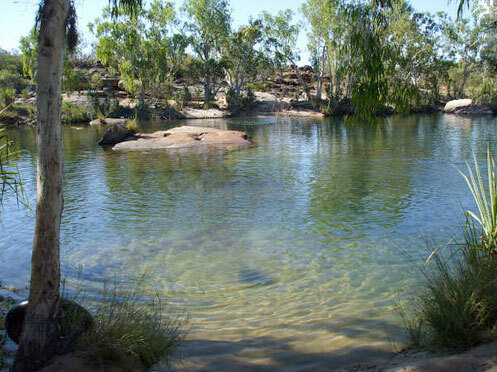 This gorge is a delightful swimming and fishing spot, located just 7 kms from the Mount Barnett Roadhouse. From the carpark you can swim across the Manning River and styrofoam boxes are supplied to float your gear across. You can walk around it but the way is slippery and in places muddy. The track from there in is well marked with rock cairns, beer cans, red disks and arrows and markers strung into the trees. 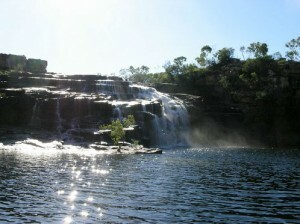 You can swim in the rock pools all year round but you must be there early in the season to see the waterfall. There is a camping area and a store with fuel available at Mt. Barnett station. Camping fees applicable. Named by Frank Hann in 1898 after Mr Manning of Lennard River. 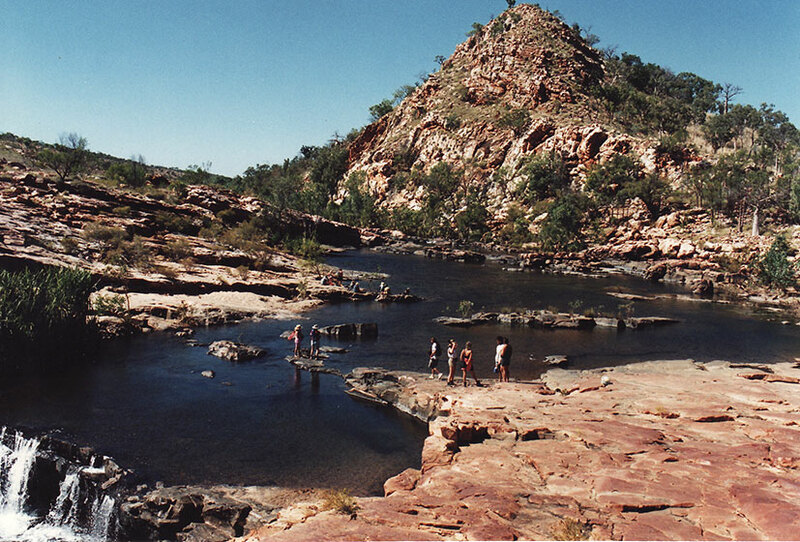 This gorge is located 3 kms from the Gibb River Road, keep to the right, you will pass bays for lunch stops or camping, then a solid rock plateau, turn hard left after the dip to a big Boab tree which marks the beginning of the gorge walk, stone cairns keep you on the track. On the left is the first set of markers which will bring you to a nicer swimming part of the gorge with sandy beaches and clear deep pools. Not part of the Gibb River Road but definitely worth mentioning if “Going North”. The Bungle Bungles remain one of the most amazing places I have visited. A scenic flight is the best way to gain a perspective of its massive size but a drive in .. is an adventure in itself. The access road is only 55 km long but takes some 3 hours to travel in reasonable conditions. Purnululu National Park or the Bungle Bungle Ranges was discovered by white men only in the 1980s. Visible from the air but without tracks or trails, it took the pioneering ingenuity of an East Kimberley family man, a spotter plane that threw sacks of flour to mark the most accessible route and lots of patience and a four wheel drive vehicle to find a reasonable and safe entry into the wonders of the Bungle Bungle Range. This is not to say that the Kija Aboriginal people, who lived in the area for over 20,000 years, didn’t know their way around. 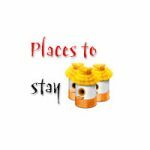 There are 2 camping grounds, Walardi and Kurrajong. Make sure you bring everything you need, even drinking water, as the facilities are pretty basic. We camped there in July and there was a total fire ban, so as soon as the sun went down, we dove into our tents and sleeping bags as it was absolutely freezing. Still getting up early and doing the trails is great as it can get pretty hot in the middle of the day. You don’t have to do it rough any more these days either. There are many tourist organisations that offer safari style tented camps, hot showers, crisp linen and delicious meals .. for a price! The best time to visit in my opinion, is not long after the wet has finished, late April or early to mid May, there is still some water left in the gorges and rock pools which can provide a refreshing dip. It doesn’t take long for the pools to dry up and the water becomes stagnant. The vegetation is still green and the acacias and grevilleas are in flower. Mid June to mid August is the peak tourist season as the weather is at its coolest. 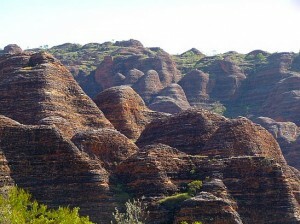 By the time the wet season comes around again, the only way to see the Bungle Bungle Ranges is with a scenic flight. The post is absolutely fantastic! 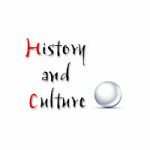 Lots of great information and inspiration, both of which we all need! 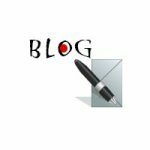 Also I admire the time and effort you put into your blog and the detailed information you offer! 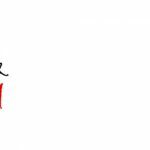 I will bookmark your site! It is my understanding that it is the Manning Gorge that is located 7 km from the Mt Barnett Roadhouse at the 300 km distance from Derby. Lindsay I do believe your absolutely correct and I thank you for alerting me! Hi..sorry but I noticed that your photos of adcock and galvans gorge are the wrong way around. They need to be switched. Great information all round though. The Barnett gorge is not how l remembered it; you are correct in informing hikers to follow the stone piles to the gorge but the photo doesn’t do justice for the walk and the end reward…one of the most scenic gorges on Gibb River Rd…cheers..great site all the same. Wow what a horrendous story, I hope there comes some sort of resolution for the poor family!